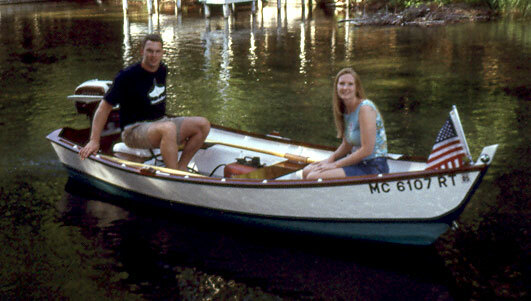 Aaron Avery built a Ken Swan Nez Perce 13 design 13'6" outboard fishing skiff in his garage. He used marine plywood and vertical grain Douglas fir. 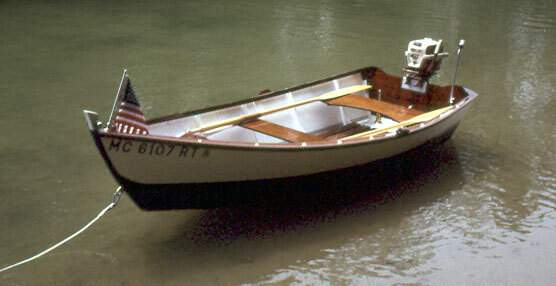 The boat is powered by a 1956 10-hp Johnson outboard. 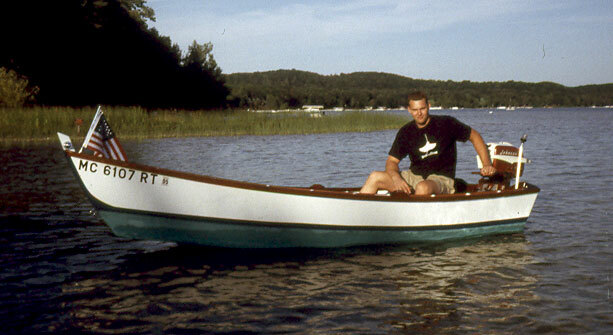 He writes that "he named the boat ANISHANABE which in the Algonquin Indian language means 'first man, original man, or forest people' The Algonquin language and people were common in Michigan, so that combined with this being my first boat and myself as the first son in my family I thought the name would be appropriate." Aaron can be contacted at avery 93@yahoo.com.